We have often heard from the Elohim over the years expressing their utmost love for us as we move through not only our own personal life incarnation, but also as we process the deep complexities of life within this matrix. However, I am sensing a clear deepening love and profound respect for us as humans, because our path is not an easy one. I am here to share with you this beautiful message, a message full of love and light and joy. It brings with it an important reminder that we are powerful creator beings and our role in the ascension of humanity, of Gaia and of Mother Earth is indeed a sacred one. The love the Elohim have for us grows with every moment and I can say this with all my heart. I am not really able to describe this love because it comes to me as a feeling in my heart and body, and as a knowing in my soul. I can only convey it through the words I am choosing to use upon this page, words that may open you enough to feel into and understand the truth they convey. The truth of their love is felt so deeply now since we have been graced with this new spiritual paradigm, received during the 11:11 portal this month. This new paradigm is here to remind us of who we are and what our true purpose is within the context of the creation. This message is a sacred one and I am writing this forward to emphasize the depth and complexity of it because on the surface it may seem superficial and perhaps reminiscent of some earlier messages. This couldn’t be further from the truth. This message is special. This message is for each and all of us as it shines a light on our humanity where there has often been only darkness for eons of time. The Elohim hold the fervent desire that we know our true value and our true place in the creation. It is their deepest desire that we now rediscover who we truly are as humans, and what our very essence is that we carry within us. It is their deepest desire that when we return to the eden of our essence, the ascension will gain a new momentum as we connect to our inner power, our sacred beingness and blossom with the realization that the ascension is our responsibility now, personally and on behalf of humanity as a collective. What is meant by returning to the Eden of our Essence? This means that we must embrace our original human essence. This really means the truth of what we are and what we came here to do! We hold love within our sacred hearts. We carry the direct connection to the divine mind of God within our sacred hearts (Equinox 2018: The Gateway to the Divine Mind). We are indeed here to carry out God’s divine will, in every moment. Ultimately we are the essence of love and compassion and true caring for all life. I have channeled messages that share that this reality was created FOR the human being, a being of such unique power and beauty that a whole world was created to honour our souls evolution. We were to come to experience this reality, learn from it, evolve, and subsequently share it with the Creator as the Creation. I am being told now, as I type this, that God/Creator always only ever wanted us to bring his pure unconditional love and illumination of truth through the power of his divine will, into this dimension! That’s it! This is the most moving message I have ever received – it is all here, in our Sacred Hearts, to share with the world and humanity! This is an informing universe! Yet with this gift, how is it possible we have strayed so far from what the creator intended us to be and to do? We have strayed from the prime directive, the prime intention. We were not meant to inflict pain, nor receive it. We were not meant to harbour fear, unkind thoughts and experience pain, suffering and isolation. We were never meant to lose our moral compass and turn away from the light. We were never meant to lose our ethical standards and act in devastating ways to intentionally harm others. We were never meant to plunder the earth, our home. The Elohim speak about our sacred heart, the heart that carries within it the three-fold flame of creation. The heart that magnetically aligns to the natural principles of love, of truth, of decency and kindness. The heart that has the God-spark within. The presence of the God-spark is the proof that we are sacred beings. The Elohim have also told me in the past that no other being carries this spark of creation! This new spiritual paradigm is a gift of Grace from our Creator. This is a gift of reconnection to the activities of the sacred heart. This is a gift of self-honouring. We must acknowledge the power that we hold in our physical form – the power to interact directly with this incredible reality before us. We not only have all of our physical senses, but we have our innate intuition that is coming online now after eons of time separated from the knowing of our true selves, our connection to the stars, our galactic families, and to our multidimensional selves. It is now time to use these gifts. This message is sacred and I will say that this is probably one of the few times where I have felt a certain sacredness. This message speaks of a new enlightened beingness, a way of being that IS Human, a way of being that many other beings in the universe know that they can never achieve. We hold a direct connection to the Whole, through the energy of unity consciousness that is inherent in our hearts. We have all the abilities to interact with passion for our fellow man, with compassion for the animal kingdom. We have infinite love within our hearts to love nature including the crystal and mineral kingdoms. We are unique and it is time to re-calibrate our bodies, minds and souls for this new phase of the Ascension. Now! is the time to really connect with every thought that we have and very action that we take. Moral and ethical standards must be revisited again. There are two fundamental ideas that every one of us has heard at some point: “Do No Harm“ and “The Golden Rule: do unto others as you would have them do unto you“. These are really the very basic guidelines for life. In summary, I will say this: This paradigm can not change you wholly without your inner desire to be the divine being that is within you. It is time for each of us to take responsibility for our own lives, our thoughts, our feelings and how all of this impacts others in our lives, not only in our personal experience but also as a collective. A new spiritual paradigm is born! “A new spiritual paradigm is born! This new spiritual paradigm descended over the past two days (12th and 13th of November); This visit to Rome was to energetically align the reality of the new paradigm while at the same time cleanse vestiges of the old paradigm. The new paradigm is anchoring here in the heart of the Christian world, Rome. It will focus on the energetics of a spiritual nature. It shall expand out into the world via all who are considered to be spiritual leaders. The spiritual leaders of this age hold the power to change the values within the system as they are open to the energies of All-That-Is and also value the transcendental connection. These are the leaders who shall bring humanity forward into the Light. This will not be done from a religious focal point but from a moral and ethical standpoint. It is now natural to hold to moralistic principles of “right” and “wrong” where in the past it was easy to turn away from “right” and accept “wrong”. With the power of the energies of change, coupled with the cleansing of the old paradigm, spiritual leaders are no longer comfortable with turning away from the Light, and turning away from the truth that is now so clearly understood within their sacred hearts. The new spiritual paradigm has created an Opening for how feelings (heart) and thoughts (mind) are processed. This creation affords new activity within the heart chakra. The hearts are now beating a new tone and to a new rhythm. This paradigm activates the opening of the heart chakra, which is infallibly magnetically aligned with the truth in all things. Truth can be evaluated and discovered by the heart chakra since truth itself fuels the heart chakra to spin and open it’s inner vortices. When the heart chakra encounters truth in any and all forms, it is opened and an instant recognition presides that reveals a confirmation and attraction of more truth. This is why it is often referred to as the Sacred Heart. The Sacred Heart with its Three-fold flame: Blue Flame of God’s Divine Will, Yellow Flame of Illumination; and Pink Flame of Unconditional Love, fuels the foundation of this new paradigm of which moral values and ethical action are a necessary part, and will become fully activated as the spiritual paradigm anchors and prepares the world for the quantum leap into the field of Unity Consciousness. At the level of the mind you may hear a statement and then attempt to qualify it, categorize it, and this means the statement is subject to prejudice. This is an inaccurate system because this activity can not tell you whether the statement is true or not. These questions may arise: How is it possible to have had thoughts founded in prejudice? How is it possible to have taken actions that ultimately harm another? How is it possible to have conceded to the State, to government, and agreed with decisions made that imposed suffering upon fellow human beings who are in a weakened and vulnerable state? These are good questions and are the beginning step to assessing truth. 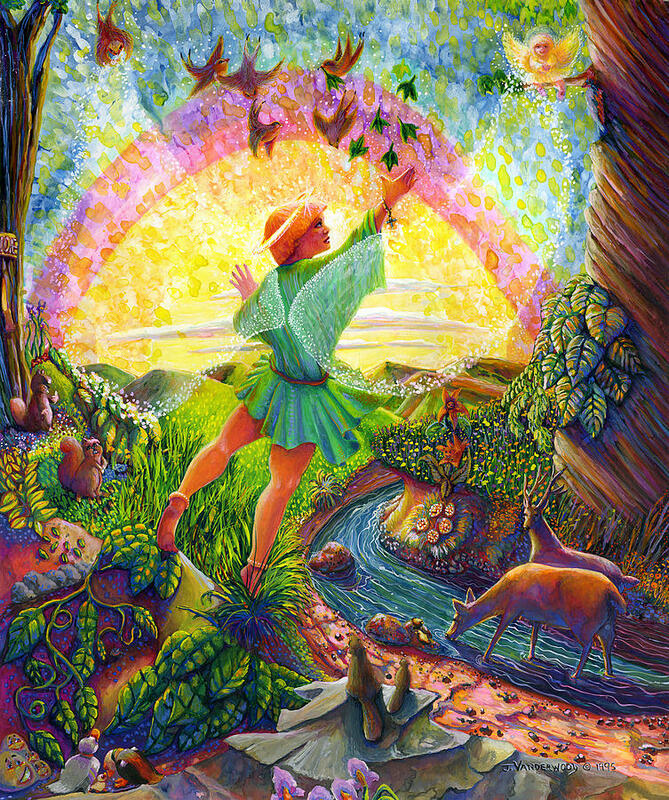 The new spiritual paradigm is an opening that brings a fresh imperative of truth-seeking that arises in a natural way. All individuals will experience an opening of the hearts and the minds to the recognition that previous beliefs and behaviours are simply no longer acceptable; that failure to apply moral and ethical principles including right action based on correct thinking, and a detachment from God’s Divine Will, is no longer acceptable as this was founded in separation consciousness. Truth is the foundation of Unity Consciousness. It is easy to test for truth as it is clear that: There is no intent to harm, to manipulate, to control, to invite self-pity, to invite attention – for to do so is to engage separation consciousness. Truth is moral victory as it is founded in holistic thinking and holistic thinking is simply the expression of Unity Consciousness. Message From The Crystalline Beings of Light: The Five Flames of Ascended Creation – The Wheel of Light and Life! The Great Unification – Watch the World Bloom! Copyright © 2019 Astraea et Amora.